Written by Will on April 5, 2012 and posted in Crafts. Zelda is an experience not just a game, let the creator take you on an adventure. And when you have a kid you do exactly the same thing – it’s an adventure. Someone has combined both to create an excellent piece of baby blanket WIN. This is surely something to keep hold of for life! A site (I’ve only just hear of) called Tip Top Lolz holds votes on pictures that you can either vote up or vote down. My girlfriend found this picture titled “My wife is going to have a baby in about a week so her mother made us a baby blanket. I thought you guys might like it”. Image is credited to MichelleGlavan’s channel on the site. 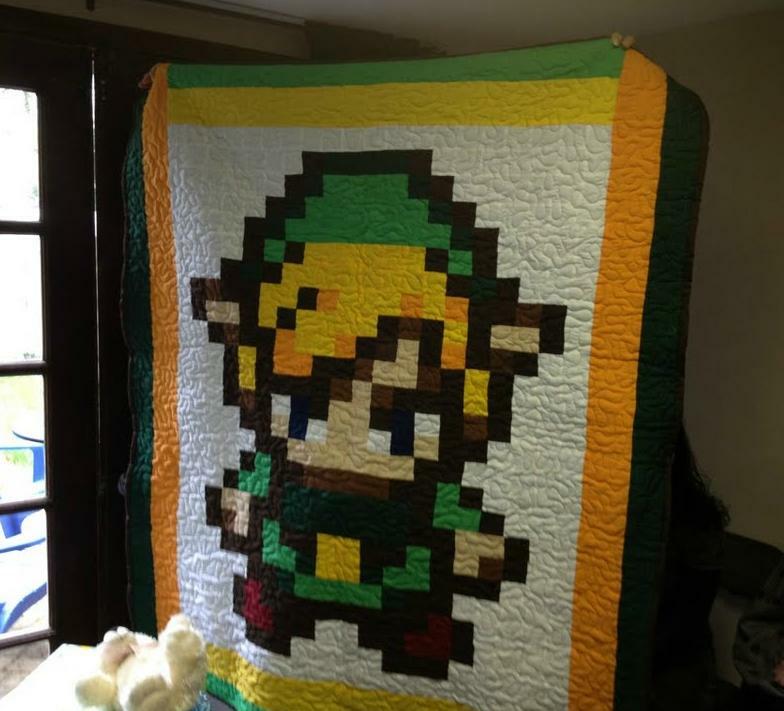 It’s a pixel perfect replica of Link from The Legend of Zelda stitched on a baby blanket. It’s hand-made by one lucky baby’s grandmother. 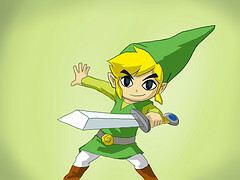 The imagery chosen is from “The Legend of Zelda – A Link to the Past” and it looks marvellous. See the blanket after the jump.